APPLE Technicals Behavior - DOW Index Impact ? March 8: DOW Index Impact ? So finally Apple was added to the prestigious DOW Jones Index. 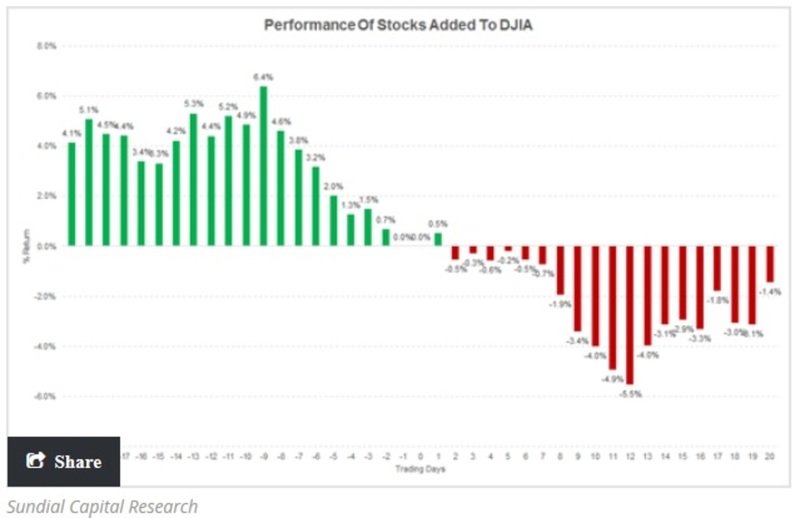 ​​In fact, there is a “clear pattern” of good performance leading up to an addition, then “bad performance following,” said Jason Goepfert, president of Sundial Capital Research, who analyzed stock-price trends of the last 20 DJIA additions during the 20 days before their addition and 20 days after. Of course, some of the declines may be due to mean reversion. ​​Bernstein Research analyst Toni Sacconaghi said companies added to the Dow outperform the S&P 500 by 3% in the 30 days after the announcement of their inclusion. With Dow Jones Indexes typically announcing the change one to three weeks before a company is actually added, Sacconaghi said this may indicate “incremental demand for shares” immediately after the initial announcement. See also the chart below. 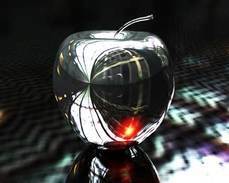 ​Apple Joins The Dow; Is It A Wedding Or A Funeral?